When I was 13 years old, my whole world was turned upside down....or at least it headed WAY down south!! I had to leave the country of my birth - "the true, north, strong and free" or in the words of Doug and Bob McKenzie, "the Great White North" - to reside in the desert southwest. I went from way past the northern border of the US to almost the southern edge of it!! But my world wasn't turned upside down by the climate - I was excited to live in a land with not an ounce of permafrost in it! It wasn't the difference in demographics or the school system - I knew I could navigate those. No...what turned my world upside down was a relatively small portion of my day which, in my junior high reality loomed LARGE!! That's right....Middle School Lunch Hour!! See as a new student, I knew how to play the part in all the classes, but as we approached lunch on that first day, I felt that sinking, "oh crap" feeling. Who would I sit with? What would I do? Was there any place else to hide? All these nervous thoughts raced through my mind and in the very blood pumping through my thirteen year old body. That is until I heard the words..."Hey, would you like to sit with us at lunch?" At those words time stopped....fears melted...a smile (full of braces, of course) broke out on my face. Ahh...the power of an invitation!! 1) "I was thinking about you"
2) "I want you to join me in something that is important to me"
In other words, an invitation lets us know we are pursued and that we belong. A few weeks ago I received an invitation to a birthday party of a local author. She and I have had coffee a handful of times over the last two years, but her invitation to me told me that I was counted among her friends. What an honor! Then there is a family who has invited my family over for dinner in a week or so. It won't be anything fancy, but not to worry...better than food, their invitation says to us "you are worth getting to know". And recently I had a group of three other women invite me to be part of a weekly gathering they have had going on for a couple of years. That invitation says to me, "There is always room for others to belong and today, we pick you." 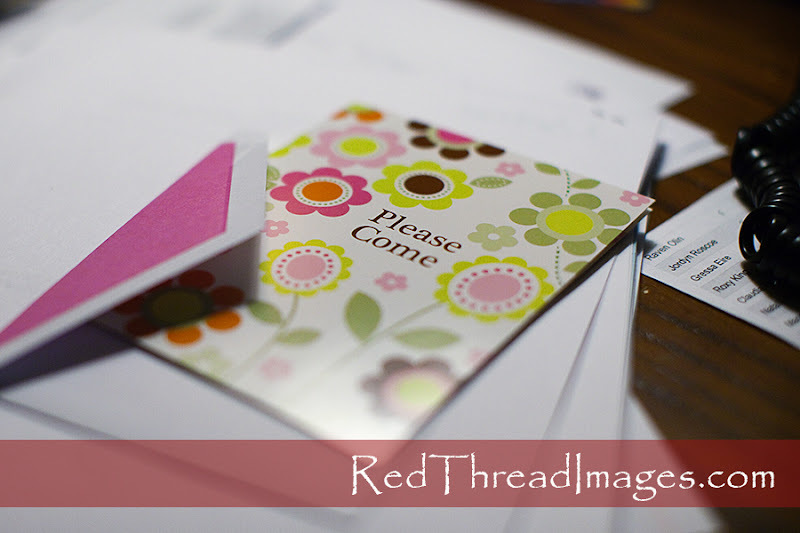 Ahh...the power of an invitation!! I will never forget those 2 girls who invited me to eat lunch with them on my first day of seventh grade in Arizona. They changed my world when they issued that invitation. And the crazy thing is?? Sometimes I find myself in situations where I look across the room and see another person all by herself....and I recognize the look on the face. It is the look of a scared junior higher, looking out over a crowded cafeteria wondering if anyone will talk to them. It is that "oh crap" moment all over again. (I know, because it still happens to me too!). In that moment, I know what to do...I take a deep breath, walk across the room and proceed to give an invitation.